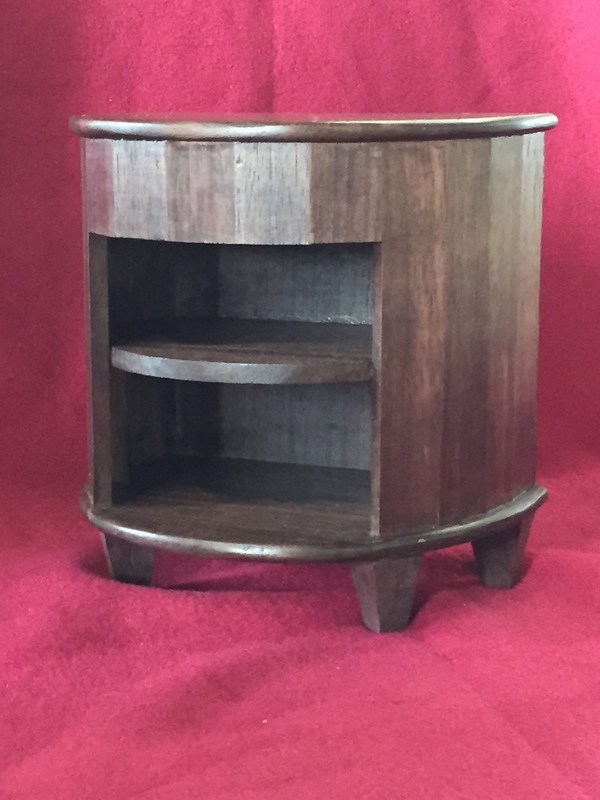 for a while now I have been thinking of a way to make a piece of furniture that would symbolize a place that is specific and personal to the person commissioning it. I want the piece(s) to have graphic elements that are both visually interesting and also for the person/people in the know to bring to life a specific place, much as a photo brings to life a memory of a specific time and place. I did not want the pieces to be a map, chart or photograph, but rather an abstract amalgamation of these things. The first piece I have made to explore this idea is a table which is what I am calling a "visual wave length" of the Barred Islands off the coast of Maine. With a router I "drew" the land masses of the islands and the depth of the water around the islands and then chased metal into the routed lines. The aprons of the table are really the heart of the visual wave length. The imputes for this detail comes from the experience of being on a boat and looking at the islands just after sunset, on a still night when the world is a perfect silhouette, the sky is still a brilliant cerulean, and the silhouette is perfectly mirrored in the water. The table is now off to the photographers—I'll post the photos when they are available.